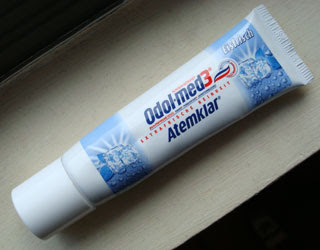 This is the second Vicco toothpaste I've reviewed. 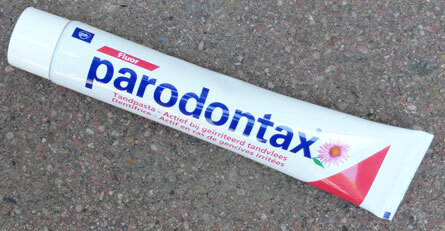 The first was not toothpaste but rather Vicco tooth powder. I love this one. It has a very unique flavor. A swirling mix of anise, fennel, cinnamon and mint combine to leave my mouth feeling fresh and very clean. A departure from the world of mint, mint, mint is so nice. 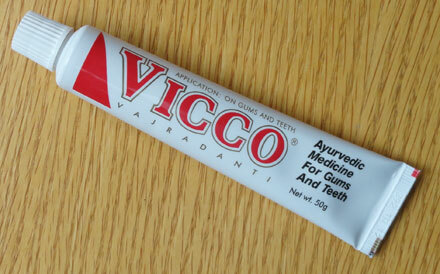 Interestingly, the kind people at Vicco Laboratories in Mumbai, India, also recommend that the user massages their gums with Vicco tooth powder after brushing - so I'm already primed for complete dental health. 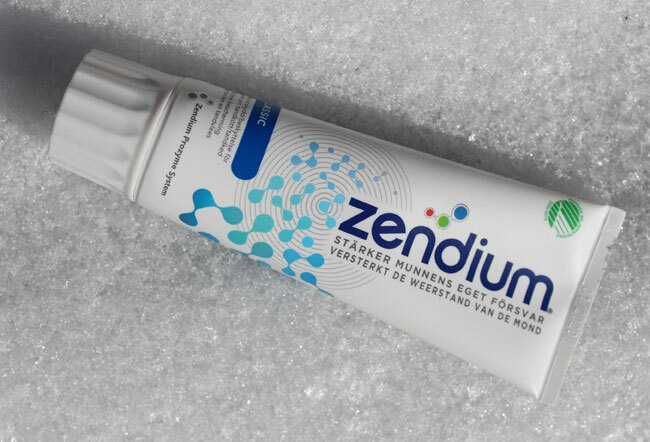 This is an Ayurvedic medicine. Ayurveda is "the science of life." I can't vouch for the benefits personally, but apparently millions of Indians can. The hue of the paste is similar to flesh-color. If you remember Silly Putty on Wikipedia, it's more like Silly Putty color. I am sure no dyes are used in the manufacturing process. Finally, you must go to Vicco's Vicco Vajradanti web page to see the thrilling one-minute video about the benefits of this paste. If you watch till the end, there's a catchy song to learn and sing along with! Special thanks to my friend Libby, who brought it to me all the way from India.